Before kids, I was an avid reader. I’ve always loved to read. But since having kids it has just been SO hard to find the time to read for fun or for myself….know what I mean? I’ve recently been convicted to spend more time reading my Bible and focusing on my relationship with God. And last week on my Instagram story I shared some devotions and books for kids that we’ve read or are currently enjoying. A few people asked what devotions and Christian books I’m reading too, so I thought I would share them all here! I’ll also share a few books that are on my “read next” list too. The current devotion I’m reading each day (or trying to!) 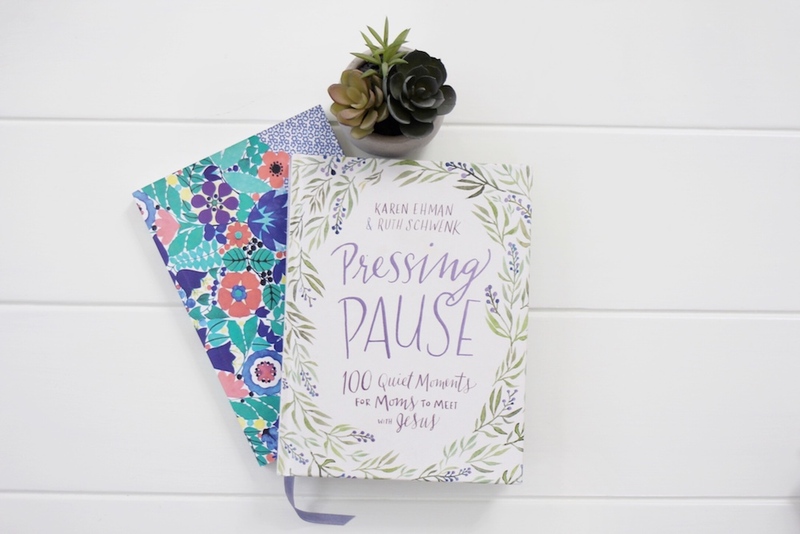 is Pressing Pause: 100 Quiet Moments for Moms to Meet with Jesus. This is such a relatable devotion for moms that is simple, convicting, and easy to read. Each devotion is sort enough that I can squeeze it in during the day if I miss my opportunity before my kids get up in the morning. It’s perfect for busy moms who might be stressed or pressed for time. The simple messages each day are just what I need to set my head and heart straight and remind myself that what I am doing for my children is important. It’s definitely a book I know I’ll re-read again. 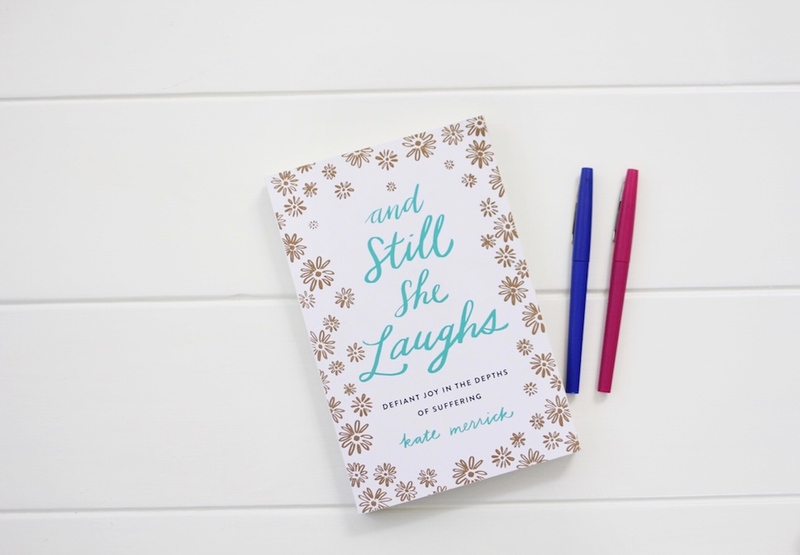 The next book on my nightstand is And Still She Laughs. This book is about finding joy in the depths of suffering. The author lost her young daughter to cancer and it is heart breaking to read…but still beautiful. I’ve cried tears of joy and sadness over this book and love how honest and relatable it is. About six months ago, something terrible happened in my dear friend’s life that has had a major impact on me and on my relationship with God. My friend’s two year old little boy died unexpectedly. It has been the most awful and heart wrenching thing to witness. And it has broken me. I haven’t blogged about it because it’s too painful. But I did write an Instagram post, you can see here. My friend will never be the same, and neither will I. But I’ve found some beauty in the brokenness. And most of it has come from watching and visiting with my friend. A group of our friends have formed a small group with her where we meet every other week and she kept referencing this book….so we all went out and bought it and have fallen in love. I don’t think you need to have experienced great suffering in order to learn something from this book. What Grieving People Wish You Knew. My friend’s mom sent this book to a bunch of her friends so we could help support her daughter. And I cherish it so much. If you know anyone who has lost someone they love, this book is a must read. I’ve learned so much about how to talk to someone who is grieving. I think a common misconception is to not bring up someone’s loss, but this book does a beautiful job of correcting that. The main message is just to show up. You might not know what to say, and that’s okay. Just show up anyway. It’s a great book to have on your bookshelf to reference, in case you ever get a chance to support someone who is grieving. Up next on my to-read list is New Morning Mercies. 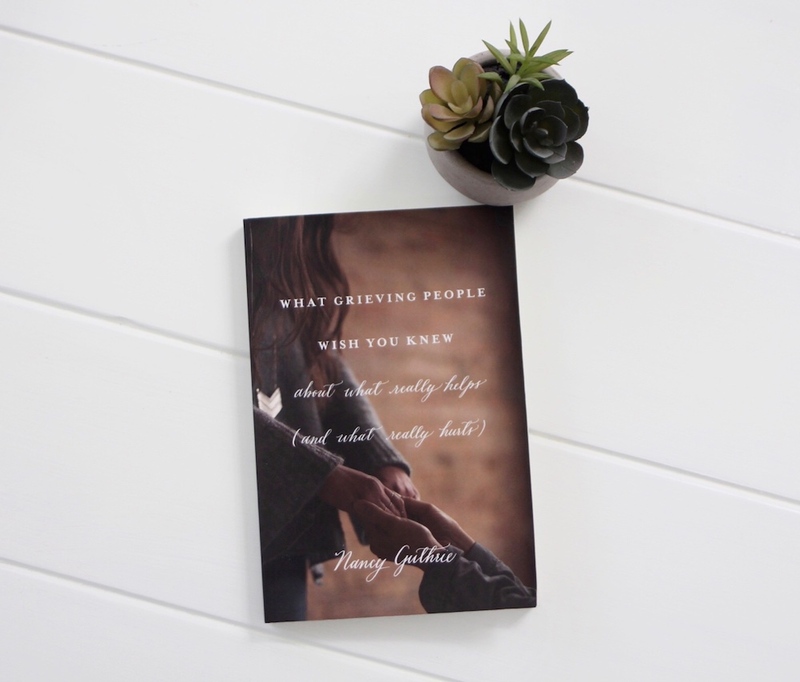 Another friend has shared this devotional with my group of friends and it seems like a great book for anyone seeking encouragement and to deepen their relationship with God. 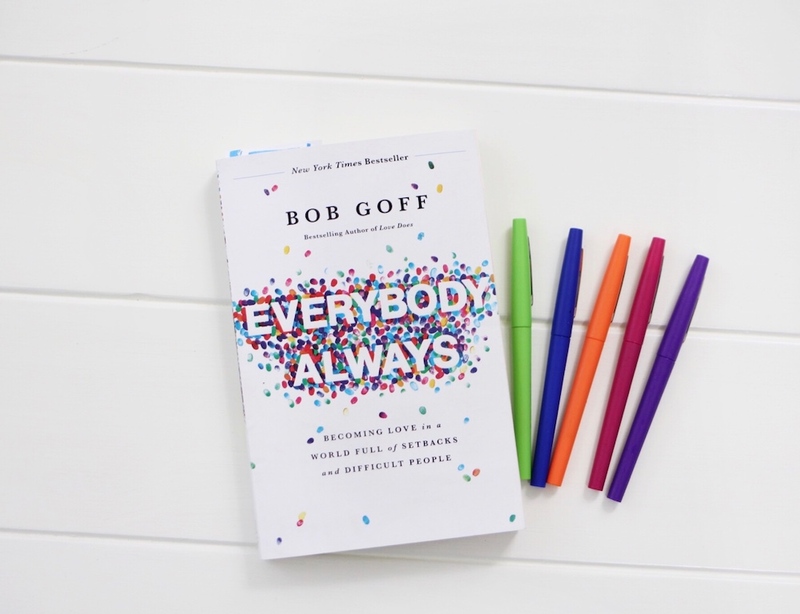 For kids, I’ve narrowed it down to a few select favorites that we are loving right now. First up is Found. The friend I mentioned above just gave this book to me and all three kids adore it. 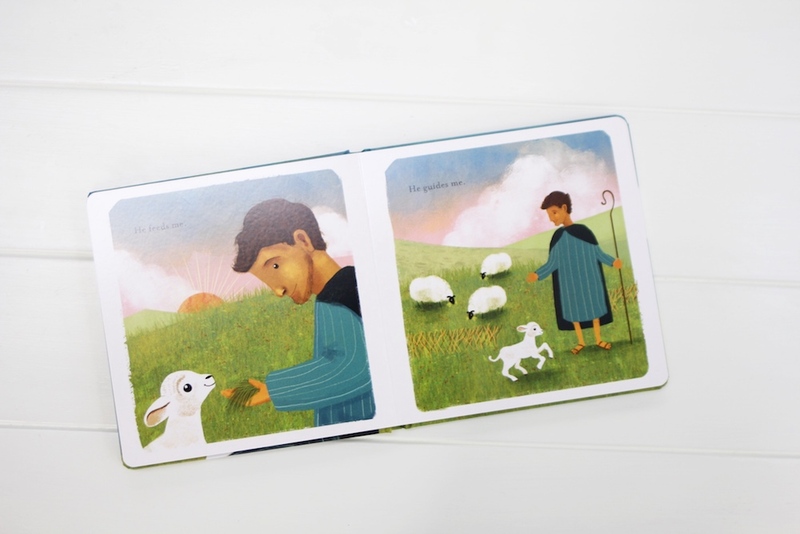 It’s a simple and beautiful story for kids illustrating Psalm 23, God is my Shepard. It’s a board book, which is perfect for my kids and would make a great gift for a new baby or a baby dedication/baptism. 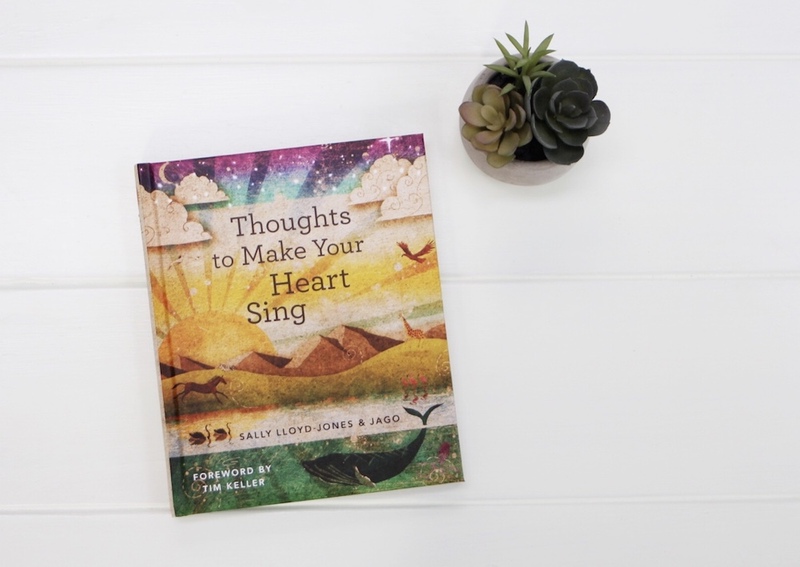 We also LOVE Thoughts to Make Your Heart Sing, by the same author as Found and The Jesus Storybook Bible. If you buy anything from this list, buy this one! It’s filled with short and simple stories about God and unconditional love that kids can understand and relate to. And the illustrations are amazing. I love to read this one to Hudson at bedtime or to all of the kids in the morning during breakfast. Hands down my favorite kids book! The One Year Devotions for Pre-schoolers is a daily devotional that we keep going back to. Each day there is a short story/message, Bible verse, and prayer. They are perfect for the pre-school age and elementary/new readers. My goal is to have Hudson read this out loud to his sisters next year. They released a second one that we might start reading too. 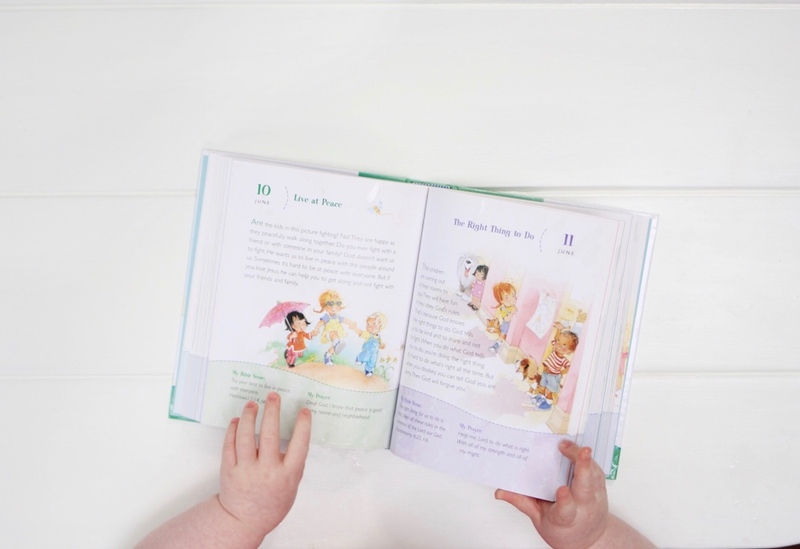 The Jesus Storybook Bible is my favorite bible for little kids. It is a must have. 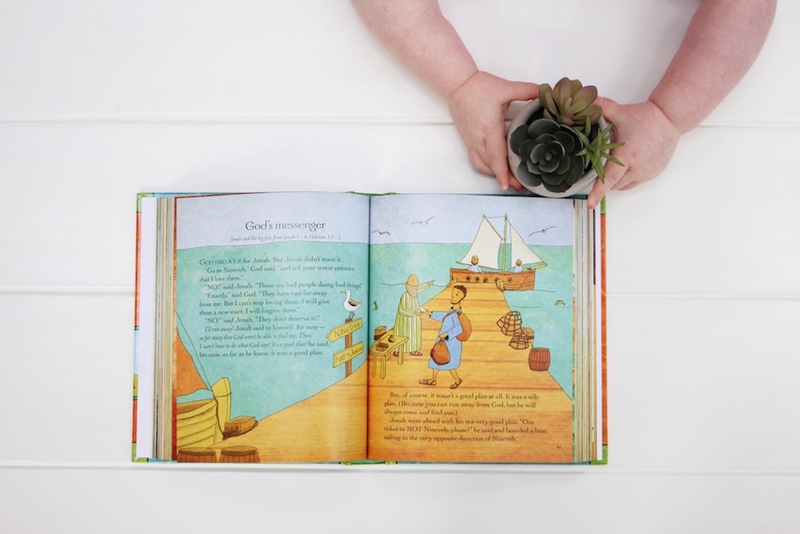 It simplifies the stories in the Bible using words kids can understand. And the illustrations are spot on. 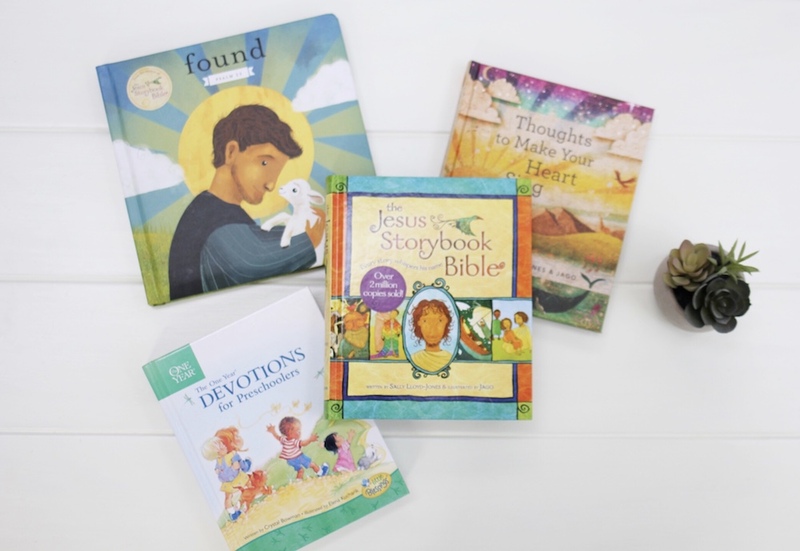 You can see God’s plan of salvation and redemption in Jesus illustrated in each story. Hudson and I read this one together at bedtime….the stories are a little long for Sadie, but she’ll occasionally listen in too. Up next on our wish-list is Heaven for Kids and Tell Me about Heaven both by Randy Alcorn. Randy has written a lot about heaven and my friend references his books often. I’ll keep you posted on these! 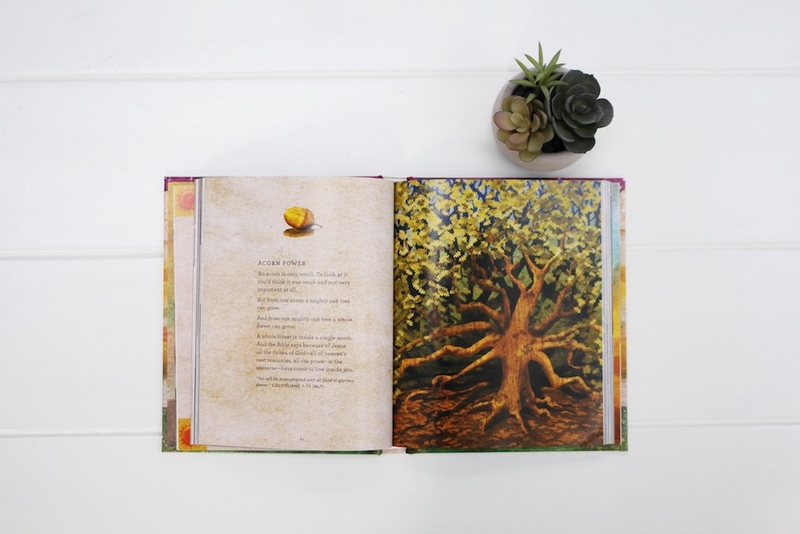 She also has this amazing and gorgeous coloring book devotional called Picturing Heaven: 40 Hope-Filled Devotions with Coloring Pages and I think I need to buy it asap! Hudson has talked about Heaven a lot since loosing his friend, and I think these books might help him (and me too!) understand it better. 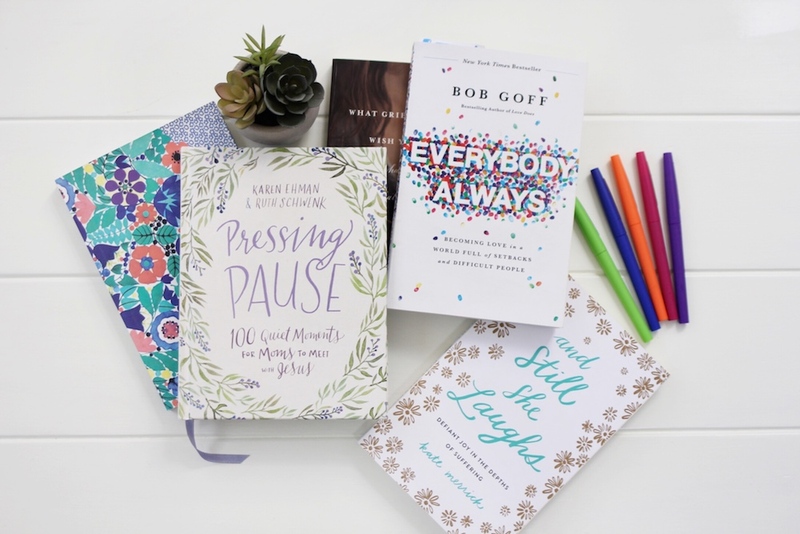 So those are some of the Christian books we are reading and loving right now. 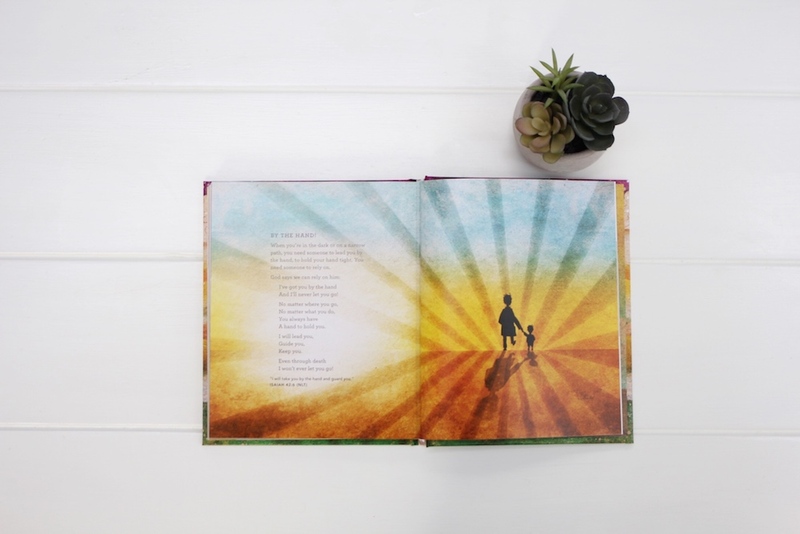 I love books and so do my kids…so if you enjoyed this post please let me know! And let me know what other types of books you would like me to share!